From Modern open staircases to Grand spiral and curved staircases, we have stylish staircase designs to suit all properties. Getting your staircase design right is the most important aspect when building or replacing a staircase, the last thing you want to do is install a staircase that doesn’t suit your needs or your home! 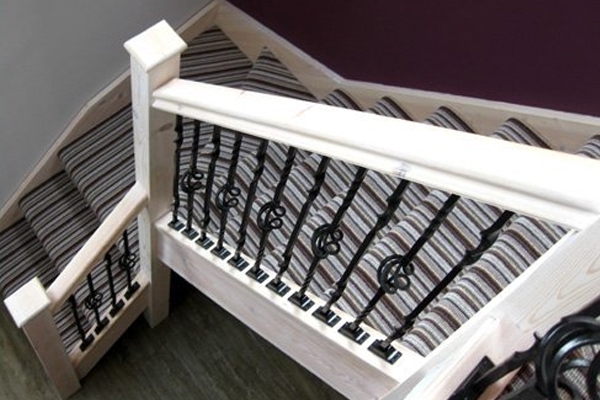 Even if it’s small and narrow, your staircase needs the same treatment as the rest of your property. Our staircase ideas are guaranteed to help you to step up your game! Timber may be a traditional material, but don’t be afraid to make your wooden staircase stand out. There are countless ways that Pear Stairs can help you to achieve this; whether it be to install a new staircase or to update your existing. White wood is just one staircase design that we offer, creating a beach, nautical feel that works well when carpeted. 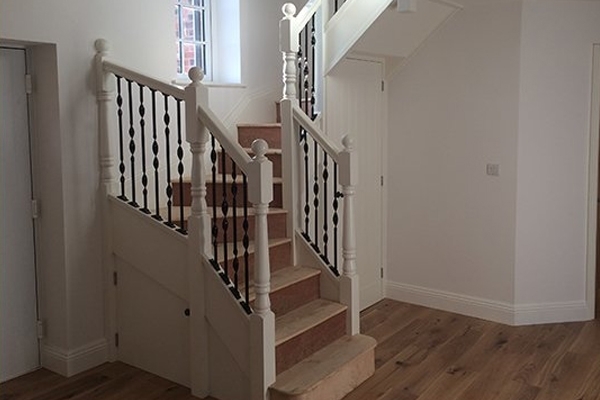 Our white wooden staircase design ideas are perfect for making your stairs the centrepiece of your property. Why not customise your wooden staircase with balustrades in contrasting timbers or with painted parts to really make it stand out? Add the wow factor to your home! A curved staircase is another staircase design that is ideal for contemporary and traditional properties. Instead of negotiating steep stairs, why not replace them with a fun, intriguing curved staircase? We recommend curved staircases for homes that have ample space to build them and they are ideal for grand hallways. The curved staircase design ideas provide a graceful descent that reflects highly on your personal style and taste requirements. In choosing a curved or spiral staircase, old meets new. 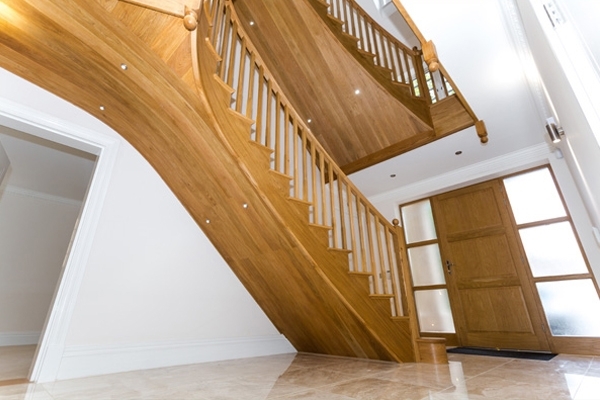 Our curved staircases can make a modern statement, regardless of whether your property is traditional or contemporary. Make sure that you select a staircase that complements your interior décor effortlessly. Here at Pear Stairs, we think nothing less than creating a staircase that meets your stylish needs, so if you’re looking for fantastic staircase ideas, you’ve come to the right place! 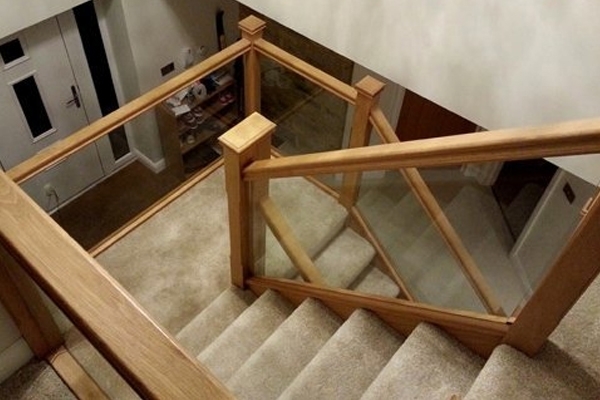 Glass balustrades are designed to be delicate, making your home more sophisticated. Unwrapping your staircase, the glass balustrade can deliver a sense of intrigue, combining modern aspects with traditional elements. Choosing glass parts for a staircase can make it the focal point of your entire home - providing a clean finish that encourages natural light. If you’re looking to make a contemporary addition to your home, you’re bound to find staircase ideas from our Case Studies! Using a monochrome palette, you’ll have the opportunity to transform your staircase, instantly adding definition and style to your home. Who’s to say that your staircase cannot make a bold statement? Monochrome is a trend that never goes out of fashion; by painting your stair treads black and white, your stairs will offer timeless elegance. Looking for staircase design ideas that give your stairs the stylish edge? Combine your staircase with bold colours and shapes, this will really make your stairs stand out! If you’re looking for stairs that ooze sophistication, use our Case Studies to inspire you. We have created staircases to suit some of the most daring styles, take Case Study no. 281 for instance. The Glamorous Brighton Staircase is a unique staircase that we designed to suit our customer’s acquired taste. 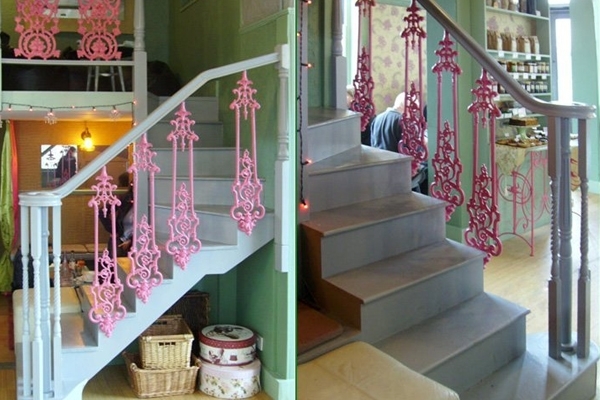 We designed this staircase so that the customer would be able to finish the handrail with their bespoke pink Victorian-style balusters that add a splash of colour to their property, essentially creating a stand out impression. Regardless of what kind of staircase you have, whether it be T-Shaped, Z Shaped or a Straight Staircase, a striped runner could make all the difference in 2018! Stripes work with anything, whether it be to produce a bold statement or something more delicate. A well-dressed staircase will have an impact on any guests that enter your property, capturing their attention from the moment that they step foot in your hallway. Continuing through you hall and landing with a striped carpet is a great way to maintain continuity of design throughout your home. Perhaps you’d prefer a staircase design that enhances the simple décor that you have throughout your home? 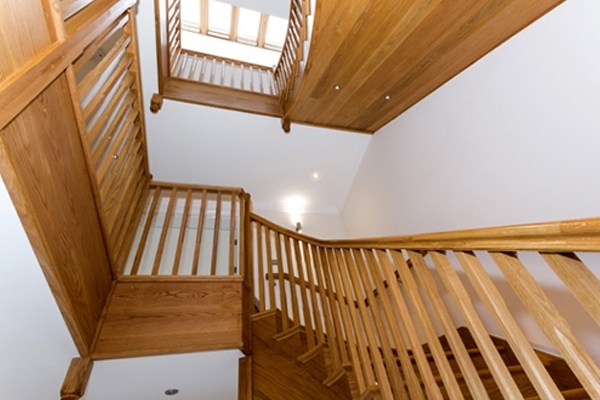 Here at Pear Stairs, we have produced timber staircases to fit perfectly within properties of various sizes and styles; we make sure that you find a staircase design that blends seamlessly with any themes or styles that you already have. For those who are firm believers that less is more, we have just the staircase design for you! We put together Case Studies to stimulate your design ideas, ensuring that you create the perfect look in your hallway. Our T Shaped Staircases are designed to enhance your home, incorporating three flights of stairs with just one landing. Case Study no. 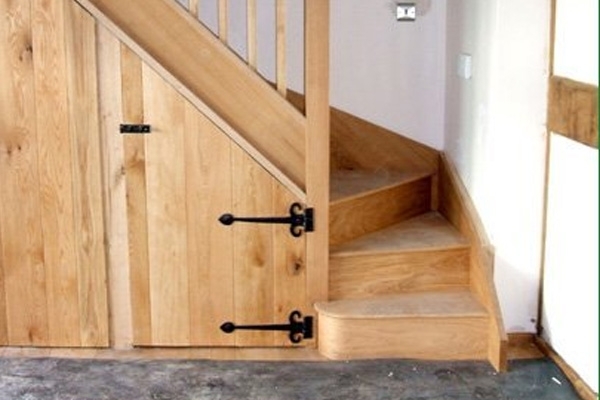 62 is a great example of the T Shaped stairs that we can create, offering a rustic look and feel to any property. No matter how bizarre your staircase design ideas are, you can count on Pear Stairs to provide you with a staircase that works for you, taking into consideration any fixed windows and doors that you have. Take the time to check out our exclusive staircase design ideas and create your dream staircase! If you need any further information about our staircase ideas, or if you have any specific requirements, feel free to get in touch with us on 01938 553311 or use the StairCreator to generate an instant estimated quote today.